GIRLS' BASKETBALL, WHERE ARE THEY NOW? Strafford seniors to represent their school once more. STRAFFORD — When the Strafford seniors heard the horn signal the end of their fourth straight state championship at JQH Arena, they thought they had played their final basketball game in a Strafford jersey together. The record-setting run by the Lady Indians led by Mizzou recruit Hayley Frank, her twin sister Kayley Frank and fellow seniors Kyndall Compton and Maddison Chittenden, has quickly become the stuff of legend. 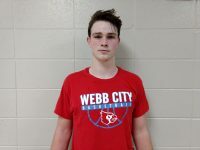 The team has set numerous records and went out having won its fourth straight state championship and finished their high school career having won 115 straight games. And the postseason awards have since begun to flood in with Hayley Frank winning the Missouri Gatorade Girls’ Basketball Player of the Year award and Kayley Frank, Compton and Chittenden earning All-Mid Lakes first-team honors and all-district honors among other awards. 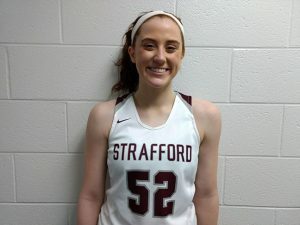 However, the group has one game remaining together as the four Strafford seniors will play for the “West” All-Stars at 2 p.m. at Boswell Auditorium in Lebanon High School alongside Taylor Arnold (Blue Eye), Autumn Garrett (Skyline), Kendei Larson (Blue Eye), Grace McPhail (Walnut Grove), Abi Menzies (Clever), Madison Sutt (Wheatland) and Alyssa Williams (Monett). They will be coached by Strafford head coach Steve Frank. 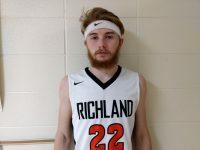 The festivities will also include the Ozark Conference and Central Ozark Conference All-Stars battling each other, a slam dunk contest and a boys vs. girls 3-point contest. (Fans can see rosters and game schedule here). 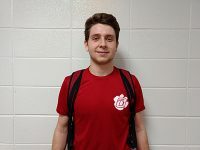 “I thought the last time I would play with Hayley, Kayley and Kyndall would be (the state championship), but to get one more chance to play with them and to play with and against girls that I have played since fourth grade, that is really special to end the season and my basketball career playing with girls that I have known for the longest time,” Chittenden says. 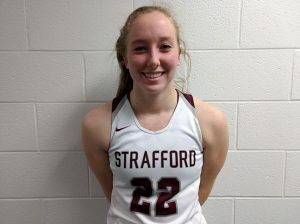 Strafford played nearly every game over the past four years with the pressure of keeping the streak alive and with the ultimate goal of winning another state championship. Kayley Frank said playing in a relaxed atmosphere with the main focus being having fun and enjoying the festivities of an all-star game setting will be a unique experience for the group. Strafford senior Kayley Frank will compete with the “West” All-Stars on March 31 in Lebanon. 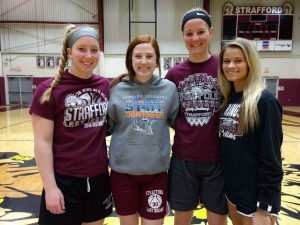 The success at Strafford began when the four seniors were young as they grew up playing together on travel teams and during the spring and summer. Chittenden and Hayley and Kayley Frank began playing together in fourth grade and Compton later joined the group in seventh grade as part of travel team basketball. The expectations at Strafford began with a lot of hard work. The group meets every day at 7:30 a.m. getting up extra shots before a weight class begin at 8 a.m. at Strafford. Head coach Steve Frank says the hard work in the weight room has paid off throughout the past four years and has shown itself on the hardwood. Strafford senior Maddison Chittenden will compete with the “West” All-Stars on March 31 in Lebanon. 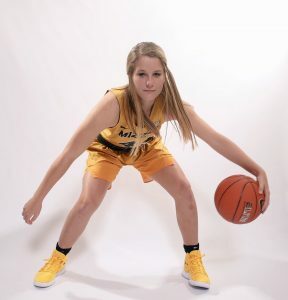 Compton, Hayley and Kayley Frank each said their dad was the biggest influence on their basketball careers as all three grew up around a father who coached the game, played the game and always had a basketball in their hands. 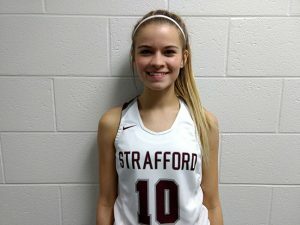 Strafford senior Kyndall Compton will compete with the “West” All-Stars on March 31 in Lebanon. And while Hayley Frank and Kayley Frank each said they didn’t really model their game after anyone in particular, Compton says she grew up as a big Jackie Stiles fan and even chose to wear her No. 10 in honor of the Lady Bears legend, while Chittenden said she always looked up to one player in particular. All four seniors said the experience and accomplishments they have achieved as high school athletes at Strafford hasn’t quite sunk in yet. Strafford senior Hayley Frank has signed to play college basketball at Mizzou. 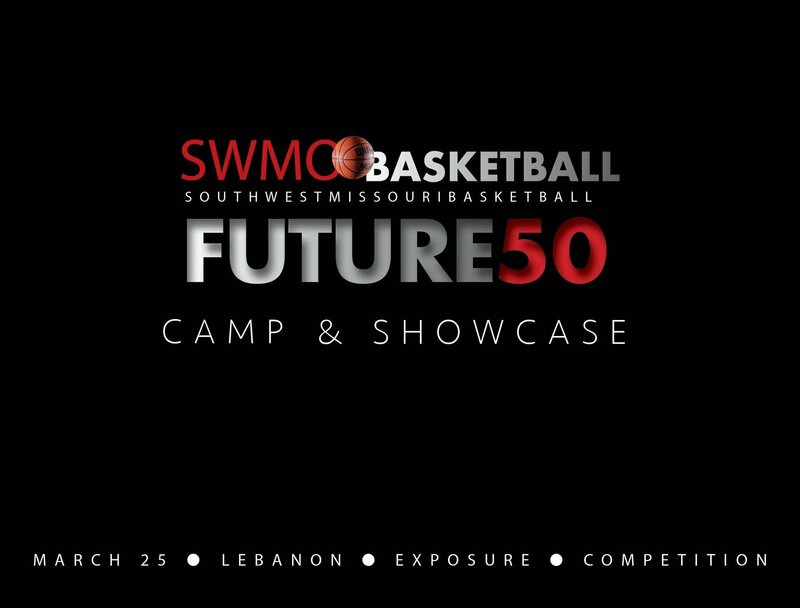 She will compete with the “West” All-Stars on March 31 in Lebanon. Basketball will continue for three of the seniors after this season, while a fourth is still undecided about her future. Hayley Frank, ranked by ESPN among the nation’s top players in the 2019 class, has signed to play at Mizzou, while Kayley Frank will play at College of the Ozarks and Compton will play at Evangel. 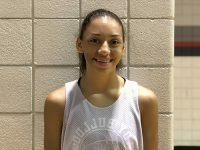 Chittenden says she has drawn some college interest, but initially before her senior year she told coach Frank that this would be her final year playing basketball. Over time, however, she has begun to re-think that decision and says she is still undecided about her future.